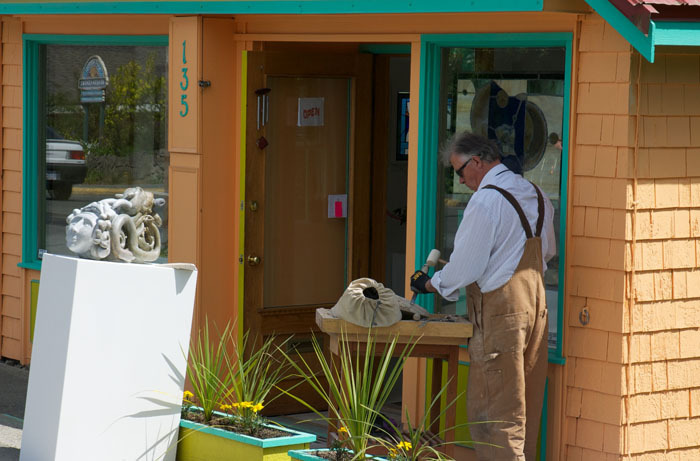 Peter Allan is a long-time Salt Spring resident and has been involved in the art world for much of his life. 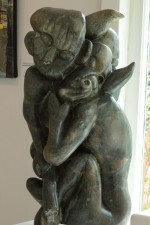 However, Peter has more recently started to work with Brazilian soapstone, sculpting amazing figurative works. Peter has always been interested in sketching and drawing the human form, and his expertise is very apparent in his pieces. His subjects are often mythological or magical, such as minotaurs and angels, rendered in significant detail and telling their own story through expression and posture. He is an active working artist, and we are looking forward to having a wide variety of his work at our Gallery. 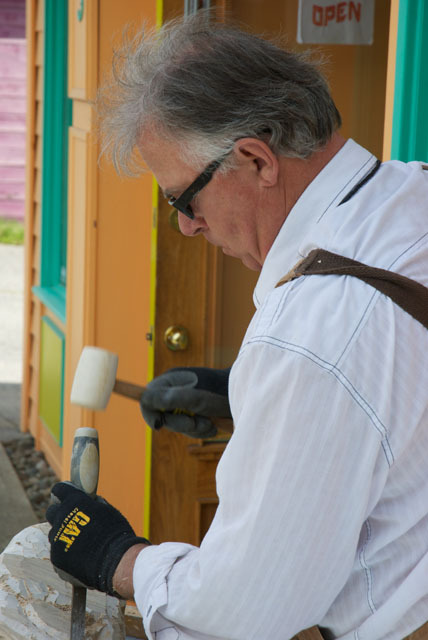 Here’s a few pics of Peter creating a sculpture in front of the Gallery!